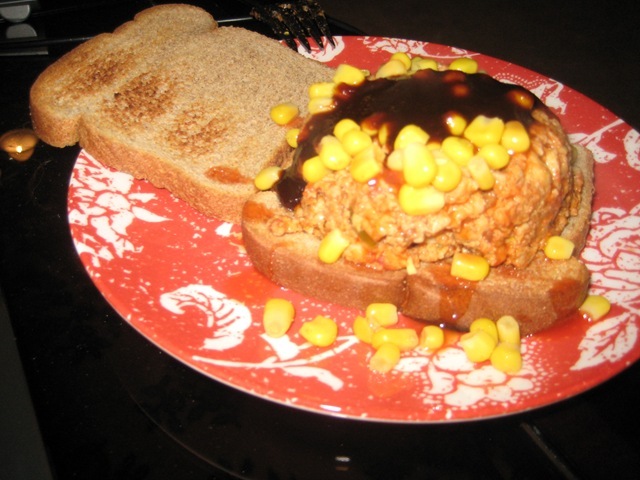 Nothing too crazy for dinner tonight. But it was my first time trying parsnips which i liked! And I always love roasted veggies. 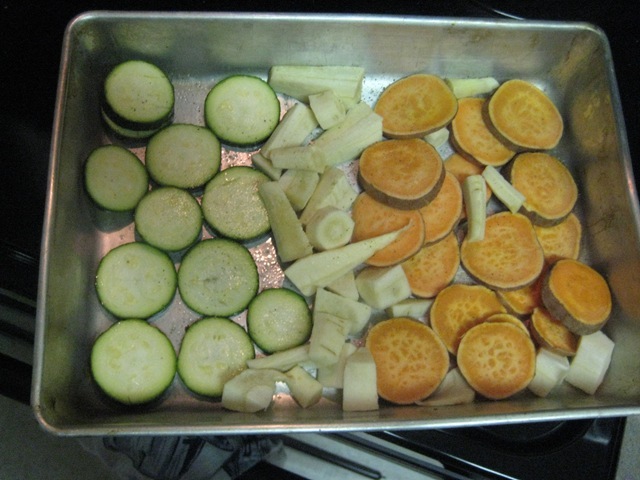 1 Zucchini, 2 parsnips and 1 sweet potato in 1 tsp. olive oil and S + P before being put into a 425 degree oven for 30 minutes. I meant to take a picture of them in the pan but I forgot to. Ah well. The parsnips were really good roasted. I liked that they were kind of mushy on the inside but the skin on the outside was still a little firm. 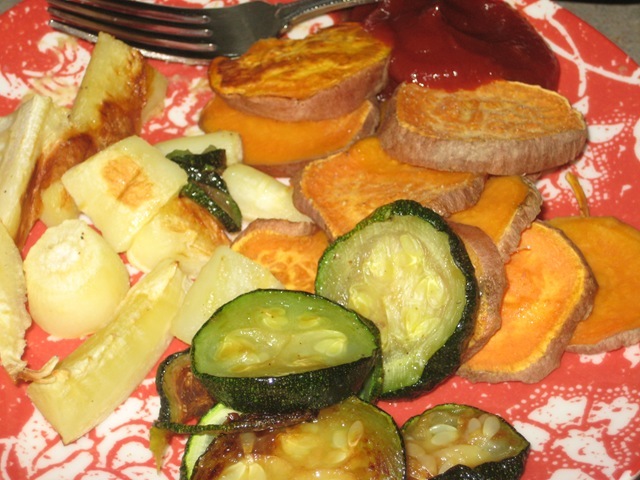 And you can’t really go wrong with oven roasted sweet potatoes and zucchini. 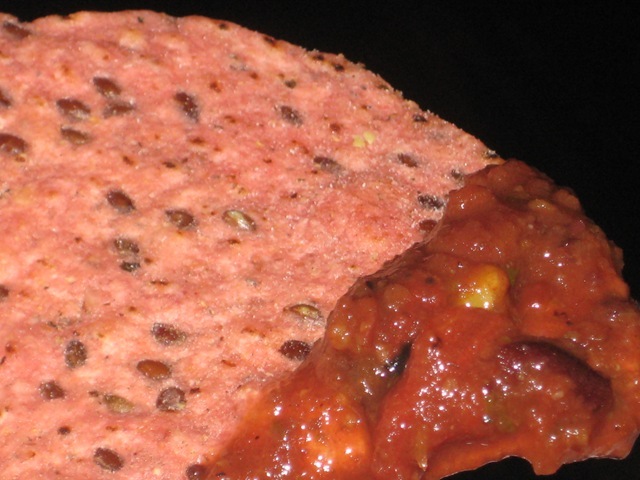 That’s a Trader Joes Veggie Flax chip with black bean and corn salsa. These chips are awesome by the way…and dangerous because I can easily go through half a bag. We just bought a bag of Trader Joe’s Hemp chips..I’ll let you know how they measure up. My Aunt from Arizona sent my folks a basket of like 8 salsas for Christmas so James and I got to take one home. Let me tell you…this stuff is good. 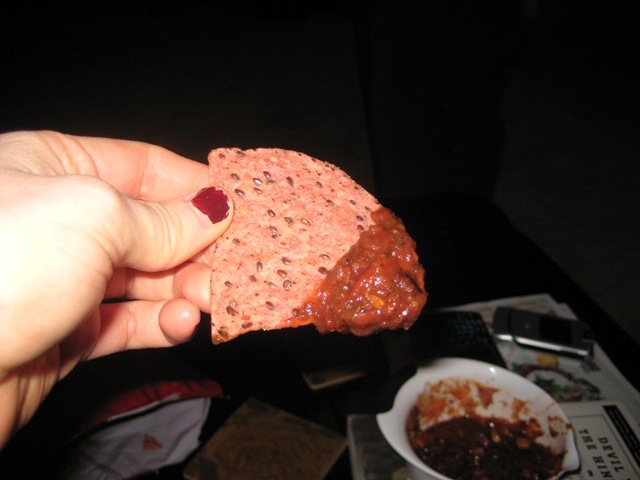 It’s really thick and has a deep, rich flavor. 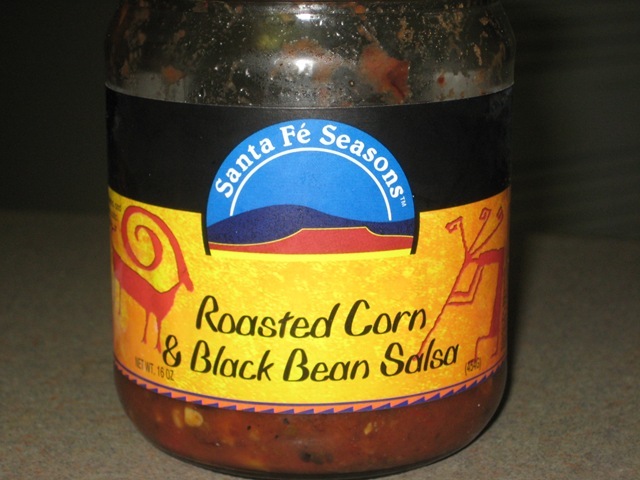 It was definitely a contrast to the tomato salsas we usually have. 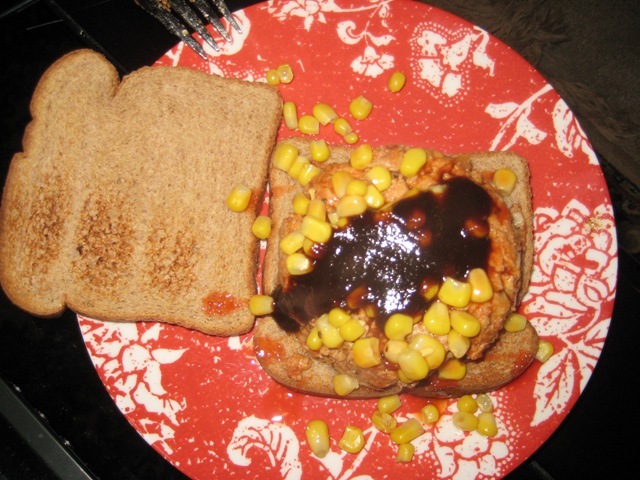 That is ground turkey mixed with leftover enchilada sauce with corn and TJ’s BBQ sauce on top. I think his exact words after his first bites were “Holy hell this is good!” You know that’s a winner. Score. Law & Order: SVU is on. Gotta go! What’s the name of your favorite nail polish color?